Las Vegas city is overrun by zombies and to escape the city, you must become a zombie hunter in this new online pokie developed by Microgaming which features amazing 3D graphics and 2 kinds of free spins. This amazing zombie themed game illustrated with intricate cartoon-style graphics, can be played on any mobile device, desktop or tablet, offers two game modes (the Survivor Mode and the Zombie Mode) and includes two sets of regular symbols depending which game mode you choose. These are either the Survivor symbols or the Zombie symbols, and both modes will also feature special symbols, including a Lost Vegas Wild, A Hazard Scatter and the Fist of Cash. 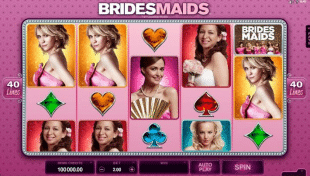 Lost Vegas online 3D pokie is delivered with 3 rows, 5 reels and 243 Ways to Win. Your bet per line ranges from 0.30 and 45 coins. Lost Vegas will give the choice between 2 different game modes. In one, you’re playing alongside the Survivors and presumably hunting down the morbid creatures which have invade the famous desert city. In the second mode, you are one of the zombies, creeping and spooking your way through the streets and terrifying the locals. The game mode is chosen by clicking the button located at the top right of the console. The main symbols are all Survivors; these are basically ordinary looking people equipped with weapons in order to hunt down zombies. 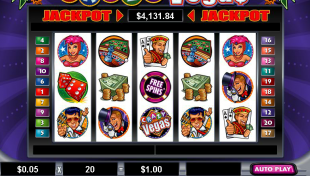 During the free spins, these come with a ‘Stash Feature.’ Anytime one of the ordinary A, K, Q, J or 10 symbols appear, these are removed and replaced with cash prizes. Of course, all normal winning combinations are still active during these rounds and you’ll be awarded with your total cash prize at the end of the Free Spins. The round of Free Spins ends when all the royal card symbols have been stacked. The main symbols are Zombies of all sorts. Free Spins come with an ‘Infectious Feature,’ turning regular Wilds into Stacked Wilds. The game ends when all reels have been infected. The regular winning combinations are also active during the Zombie version of the Free Spins. Continue your voyage into morbid themes with a trip to the land of the Ghost Rider. This Marvel-Playtech cooperation let’s you aim for one of the those famous progressive jackpots which is one of the hallmarks of this comic-book gaming team. The Blackout Bonus game is triggered randomly. During this bonus game, all high paying symbols give instant cash prizes and only one Scatter is needed to trigger Free Spins. Lost Vegas is a fun take on the Zombie theme and offers interesting options thanks mainly to its 2 game modes. Not breaking any ground with this pokie, Microgaming is nevertheless offering us an entertaining title with great graphics that younger players are sure to love. What is the biggest jackpot of this pokie? Lost Vegas offers a base game maximum jackpot 2,250 times your total bet when landing 5 Hazard Scatter symbols. What are the special features of this pokie? 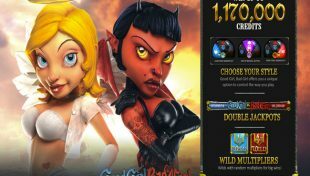 Lost Vegas offers 2 Game Modes, Wild and Scatter symbols, Multipliers, a Bonus Game and Free Spins. What is the payout % of this pokie? How many paylines and reels does this pokie have? Lost Vegas features 243 Ways-To-Win and 5 reels. At which casinos can I play this pokie? 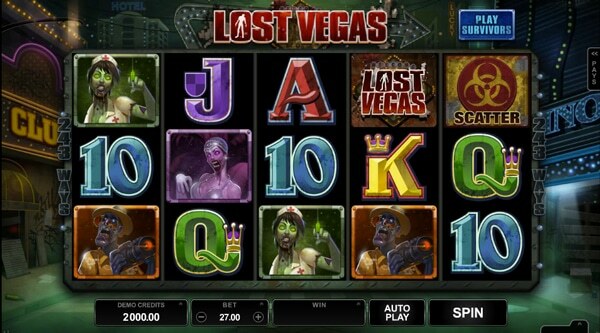 Lost Vegas is a Microgaming title which is available at All Slots Casino.